A Day without Mobile Apps - Is it possible in today's world? Can we Spend a Day without Mobile Apps? A day without mobile apps is equal to a day without mobile phone because mobile app is like an ink inside a pen, without which the pen is useless. Meaning without mobile apps smartphone is just a portable calling booth, capable of doing nothing except making calls and sending short message service. This topic for many is awkward, but it does not include any bloatwares (pre-installed apps). We will only talk about the downloading apps and how much it will affect you and your daily chores. 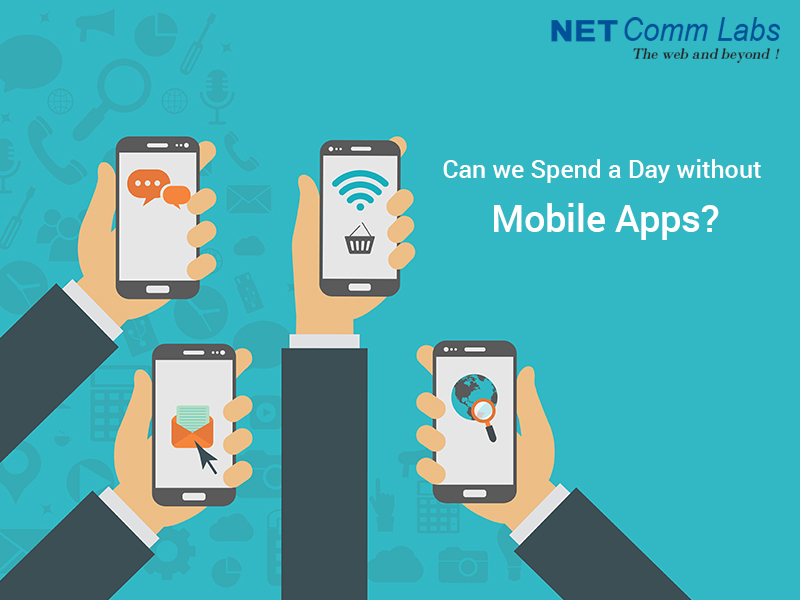 The question ‘Can we Spend a Day without Mobile Apps’ is not a new one and for this I would say ‘Yes’, we surely can spend a day without mobile apps. At least you would have a phone and because a day can be spent without apps, don’t worry it’s not like the end of the world. Deleting mobile apps from mobile phones is a crazy idea but it displays juxtaposition of a mind state- without and with the use of apps. Nothing much will happen, at first you will just feel restless and in dire need to click on an imaginary notification. But eventually this feeling will wash off because then you will be forced to interact with your friends, family and people around you. Later at some point of time you will be relieved of the perpetual sound of pop ups and notification that forced you to have a look at them. You will love to spend some time with your near and dears and have a real, uninterrupted talk. It may sound unusual but, without mobile apps you will enjoy some me time that you always crave for. People always talk about having some time for themselves but what they do not know is that social media was preventing them from having alone time. Take a break and do something that you always wanted to, it may be anything from relaxing to reading a book to continuing with any of your hobbies, etc. Mobile without apps will make you have a look at your surrounding and observe the reality. Think you are in office and you have no app on your phone which means no sound of beeps and peeps. This will help you to be more productive and make sure that your life is not controlled by an app. Digital detox is the practice of helping people to relieve them from internet, mobile phones, social media and mobile apps addiction. Detoxification plays an important role to help people curb from the device addiction, so that they can live peacefully amongst their loved ones.